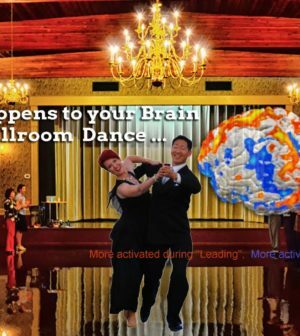 For the first time, a study at the NeuroArts Lab at McMaster University shows what happens inside your Brain when you do Ballroom, Salsa/Latin, Tango, Lindy Hop/Swing or other partner-based dancing. 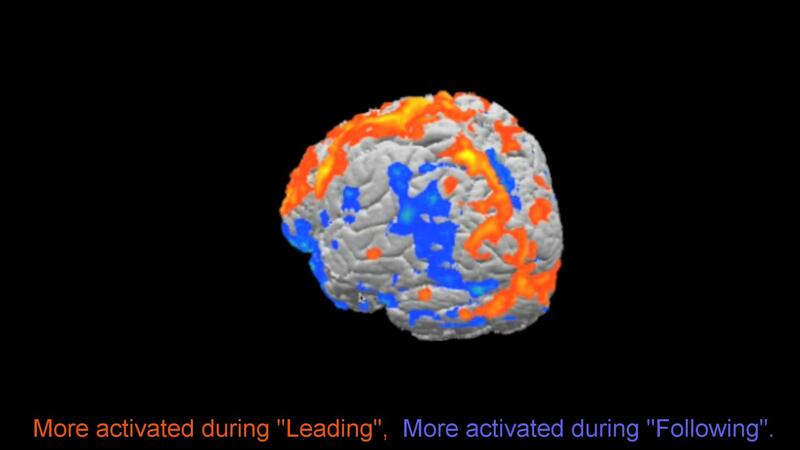 “Orange” areas shows what happens when a person “leads”, and “Blue” areas show what happens when a person “follows”. Other ground-breaking research, like the one conducted by the Albert Einstein College of Medicine in New York City, provide growing evidence that stimulating one’s mind by dancing can ward off Alzheimer’s disease and other dementia, much as physical exercise can keep the body fit. The 21-year study of senior citizens, 75 and older was published in the New England Journal of Medicine. Simply by participating in leisure activities such as Ballroom Dancing, was associated with a reduced risk of dementia, even after adjustment for base-line cognitive status and after the exclusion of subjects with possible preclinical dementia. Thanks to Steven & Lea at McMaster University for conducting this study. This MRI scan of the Brain was taken from Robert Tang, danceScape. Robert is a former 3-time Canadian and 2-time North American Am Ballroom Champion, as seen on Dragons’ Den, ParticipACTION, and Healthy Gourmet. 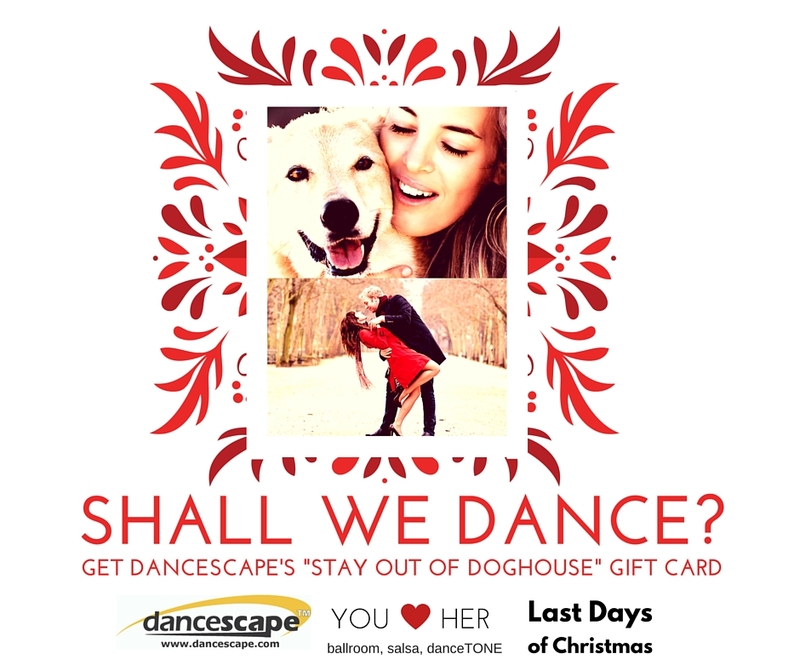 Robert and his wife, Beverley, are founders of danceScape. #shallwedance?